Everyone who owns a vehicle has at some point taken their car to the mechanics after noticing unusual system operations. Sometimes, when you’re lucky, the issues can be immediately detected, while other times the technician is unable to determine the exact problem, or one thing will get fixed only to learn that something else has also gone wrong. Electronic diagnostic tools are a standard piece of equipment found in a mechanics toolbox. These tools are normally the first line of defense in determining probable causes and estimates of any motor or system issues. Fleet management systems that communicate with a back-office system can eliminate the need for seeing a mechanic to discover vehicle problems. Maintenance checks and vehicle diagnostics can be done remotely and automatically with the use of a fleet management system. Summary reports that clearly show you exactly what is going on with your vehicles are also provided on-demand within the fleet management system, which can easily be set up to auto-email you reports at any time. 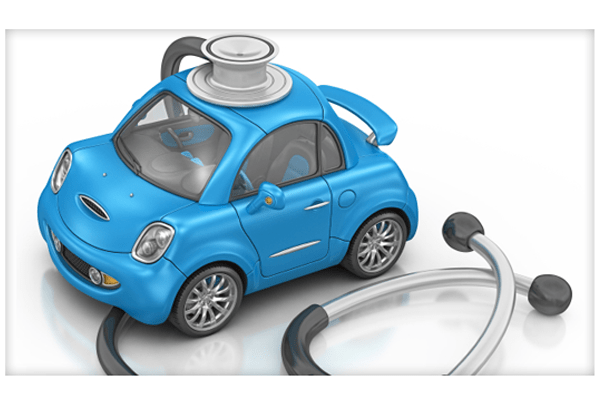 Diagnostics information includes emission and engine while maintenance information includes mileage, tire pressure, and oil life. The main benefit of always being in the know rests in the rapid responses that highlight whether or not you have a major issue that could have a negative impact on driver safety. Looking for vehicle trends gives you a heads-up on any situation that is likely to occur if not addressed quickly. Also, trained technicians can use this data to make informed and confident repair decisions. The future of the “remote mechanic” is continually evolving and being re-shaped through collaborative insights adding greater value. If you are interested in learning more about how a fleet management system can benefit you, and help optimize your business, get in touch with one of our fleet consultants today!